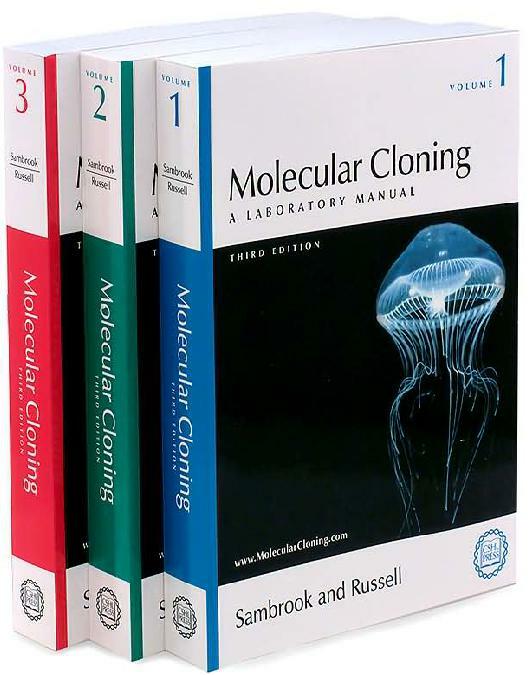 The first two editions of this manual have been mainstays of molecular biology for nearly twenty years, with an unrivalled reputation for reliability, accuracy, and clarity. In this new edition, authors Joe Sambrook and David Russell have completely updated the book, revising every protocol and adding a mass of new material, to broaden its scope and maintain its unbeatable value for studies in genetics, molecular cell biology, developmental biology, microbiology, neuroscience, and immunology. Handsomely redesigned and presented in new bindings of proven durability, this three-volume work is essential for everyone using todays biomolecular techniques. The opening chapters describe essential techniques, some well-established, some new, that are used every day in the best laboratories for isolating, analyzing and cloning DNA molecules, both large and small. These are followed by chapters on cDNA cloning and exon trapping, amplification of DNA, generation and use of nucleic acid probes, mutagenesis, and DNA sequencing. The concluding chapters deal with methods to screen expression libraries, express cloned genes in both prokaryotes and eukaryotic cells, analyze transcripts and proteins, and detect protein-protein interactions. The Appendix is a compendium of reagents, vectors, media, technical suppliers, kits, electronic resources and other essential information. As in earlier editions, this is the only manual that explains how to achieve success in cloning and provides a wealth of information about why techniques work, how they were first developed, and how they have evolved.